One of my goals at Psychology Junkie is to make sure that you have access to the most valuable and accurate information on type anywhere. I want you to have TONS of practical resources for knowing your type and getting as much helpful information as you can. While I constantly update my site with new articles and resources, there are some other sites and type professionals who can be extremely helpful! This is where you can find out all that information! Disclaimer: This resource page does contain affiliate links. Anything you purchase from these links goes to keeping Psychology Junkie running smoothly! Don’t Know Your Personality Type? I’m not a huge fan of free online personality tests, but the absolute best one is with Personality Hacker. Antonia Dodge & Joel Mark Witt KNOW THEIR STUFF. This is literally the only free online test I recommend, all the others are embarrassingly bad in my personal opinion. Take the test here. If you want to take the official MBTI® Indicator, you can do that here. These are the blogs I turn to for advice, tips, and inspiration. Definitely check these out! This site is chock-full of in-depth type information on all 16 types. It was founded in 2009 by Dr. A.J. Drenth, who has also written several amazing eBooks about personality type. Drenth steers clear of stereotypes and misconceptions and aims for accuracy in all his descriptions. Antonia Dodge and Joel Mark-Witt have created a stunning informational web site full of useful articles, podcasts, videos, starter kits, and more! You’ll also want to check out their podcast for all kinds of personal growth tips and life hacks! Truity is an excellent resource for learning in-depth about each type. The site is well-organized and features tons of guest posts from some of the greatest type professionals and bloggers in the world. Heidi Priebe is one of the most engaging and relatable personality bloggers out there! If you want to learn more about type, she combines insight and humor perfectly. Check out her articles here and here. If you’re an INFJ personality type, and you haven’t checked out INFJblog.com then you are really missing out! Author Megan Malone writes hugely helpful articles specifically for INFJs and she does so without veering into stereotypes! She also has written a book called INFJs in Love about INFJ relationships with all of the Myers-Briggs® personality types. If you are an introverted personality type, definitely check out this site! You’ll find tons of relatable, inspiring articles for ISTJs to INFPs! Marissa Baker writes about spirituality and personality type. Her personality articles are top-notch and super helpful and informative. If you’re a Christian you’ll also enjoy her other articles about faith and spirituality! Bo Miller, an INFJ MBTI® practitioner, has created an amazing blog for INFJs and introverts in general. He also has a podcast full of helpful life, relationship, and career tips! This is a course I wrote for parents or teachers who want to learn how to find their children’s personality types as well as work with their unique communication styles, love languages, and more. 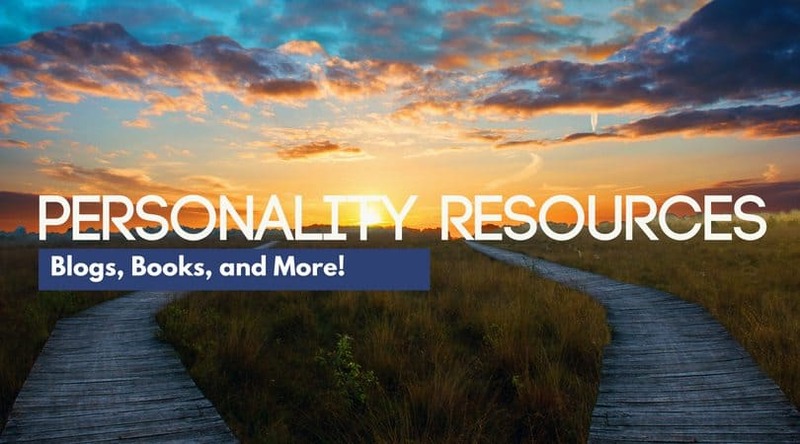 These courses give you a deep-dive into each personality type and provide practical tips for life, relationship, and career. Not sure about your personality type and don’t want to rely on a free test? Here are some coaches I know personally who are amazing at what they do! Christine is an INFP UK-based personality and life coach who has been a friend of mine for almost a year now. She is extremely compassionate, insightful, and well-versed in personality type theory. She’s an amazing listener and can really guide you through the process of finding your best-fit type in an enjoyable way. Denzel is a certified ENFJ life coach who can help you to narrow down your personality type, learn how your mind is wired, and inspire you in your goals for life. He’s extremely friendly, easy to talk to, and well-versed in type theory. Leslie McDaniel is a certified MBTI® practitioner and life coach with a lot of insight into type, goal achievement, and personal growth. Her focus is helping INFJ women make their vision a reality. Heidi Priebe – Whether you want to argue type theory or get some fascinating insights into the ENFP life, Heidi should definitely be on your follow list! Johannes Karlsson – Johannes has some of the most profound insights into personality type I’ve seen on Twitter. He is an expert on the Jungian system of personality type as well as socionics. Denzel Mensah – Denzel posts his fascinating YouTube videos about personality type on Twitter, and he also works out the types of fictional characters! Congratulations! Great material! Im from Brasil and receive information abou mbti in a much more superficial terms. Yours texts are clarificant to me, thanks a lot for them!